A full set of body system charts in one package. See-Through Sally™ provides a memorable visual aid for teaching human anatomy. 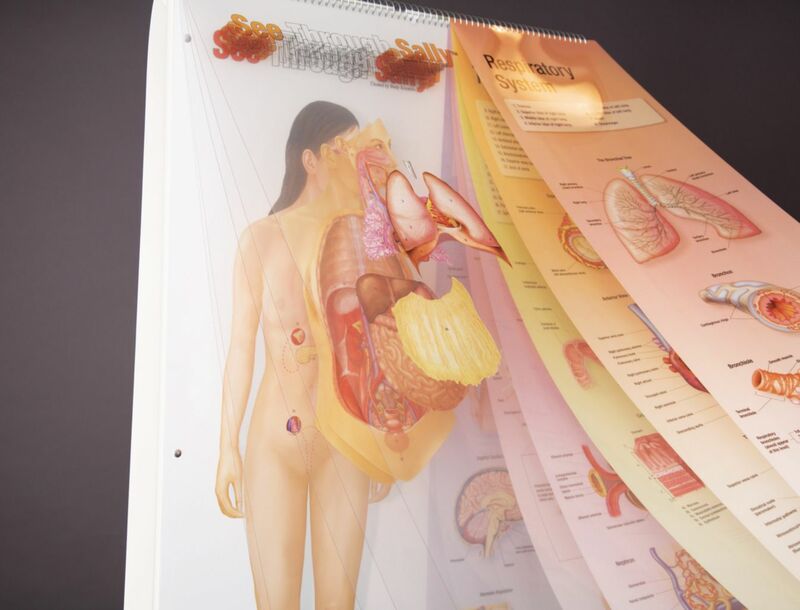 This set consists of 12 spiral-bound anatomy charts, each representing a different area of the body, mounted on a rigid metal frame and floor stand. See-Through Sally is arranged according to both how the body presents its anatomy as if you were un-layering it, and also to correspond with how systems and organs are sequentially taught in some Human Anatomy and Physiology classes. 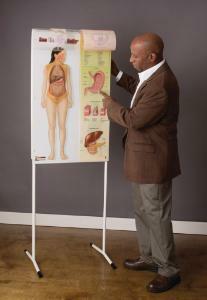 Students can understand how the body systems work together as they turn from page to page. The initial page starts with the regions of the body, cavities, anterior and posterior quadrants and what organs fall into those areas. It begins with the outer layer of the body, and continues through the lymphatic, muscular, vascular, skeletal, nervous, respiratory, heart, digestive, urinary, reproductive, and endocrine systems. 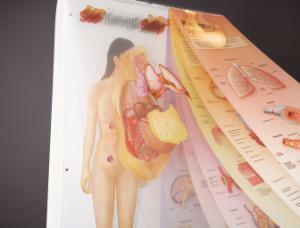 The first six pages are full system views, and pages seven through 12 are transparent overlays of internal organs and body systems. Each page is divided into a left and right side. 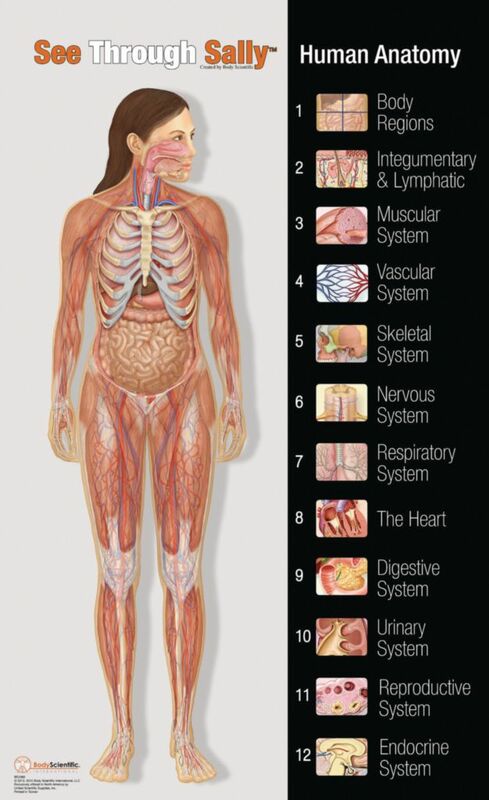 The left side includes the full-view of the human body, with all organs in that view numbered sequentially. On each page a number key is provided at the top right of the image to make it easy for teachers and students to locate structures. 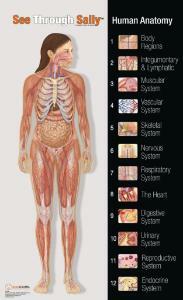 The right side of each page highlights important anatomical features for each system.